Meet on the 3rd Saturday of every month from 10am - 12 noon in St Leonard's Community Centre. 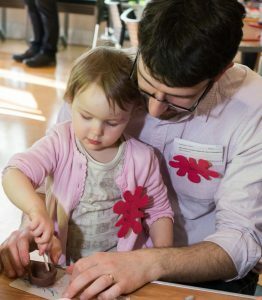 Dads and other carers are welcome to come with children of all ages for crafts, fun, and bacon butties. A great opportunity to meet other dads in the area (small fee on entrance to cover running costs).